The intensity of the shelling by Russian terrorist troops in Donbas is increasing. 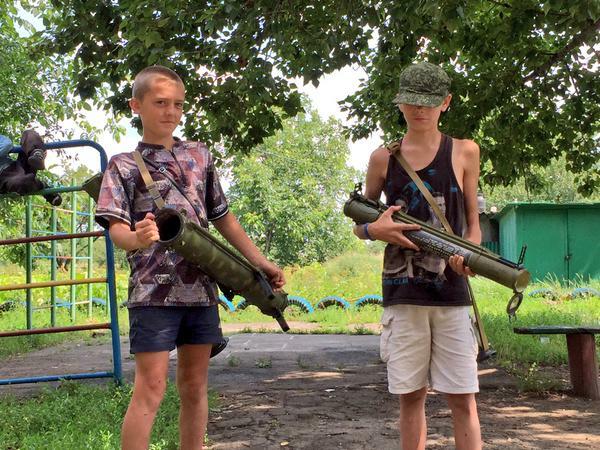 The terrorists continue to use heavy weapons (122 mm and 152 mm artillery, armored vehicles, 120 mm mortars). The insurgents also continue active reconnaissance efforts in a number of locations; in addition to the persistent attempts of sabotage and reconnaissance groups to infiltrate the ATO forces’ tactical rear en masse, we recorded active use of optical-electronic equipment, UAV, and radio intelligence devices. In the vicinity of Verkhnotoretske, terrorists used 122 mm artillery, attempting to deliver fire strikes on the advanced positions and strongholds of the Ukrainian troops (the training quality of insurgent artillery details is notably low). The town of Avdiivka was shelled by insurgents from both 122 mm artillery and 120 mm mortars. The bulk of the fire strikes were carried out on residential areas. Permanent [ongoing] shellings of Pisky, Opytne, and areas near to Donetsk Airport (DAP) continue. In these areas the terrorists mostly employed small arms and AGS-17 automatic grenade launchers; but we also recorded the use of 120 mm mortars, ZU-23-2 anti-aircraft systems, and tank guns. Snipers and groups of the “DNR army special forces” are operating near Mar’inka, staffed with local insurgents who had been trained under instructors of the Armed Forces of the Russian Federation. The activity of Russian terrorist forces in the neighboring area, from Yasynuvata (including Panteleimonivka) to Mayorskiy auto-market (Horlivka), has sharply increased. Within this strip, the activity of 2 insurgent artillery groups was recorded. Both artillery groups have 22-24 cannon artillery units, including eight 152-mm caliber ones. Also within this stretch, we noted 2 insurgent battalion-level tactical groups, with armored vehicles (approximately 30 tanks and up to 20 AFV in both groups). One of these tactical groups operates in the area of Yasynuvata, the other – to the west of Horlivka. Both groups are coordinated from a single control point, and cooperating efficiently. In the area of Volnovakha–Hranitne–Starohnativka, terrorists continue mortar attacks and armed provocations. Near the front line, the activity of several mobile terrorist mortar groups (on board of vehicles, with 120 mm mortars) was recorded. These groups carry out a maximum of 10 strikes from one position, before quickly changing position. Along the front-line of Mospyne–Starobesheve–Komsomolske, the 3rd battalion “brigade” of Russian-terrorist troops (on which IR had reported earlier) was successfully deployed. The majority of the “brigade’s” personnel are mercenaries from [amongst] citizens of the Russian Federation. In the coastal direction, near Shyrokyne, insurgents tried to provoke Ukrainian troops to open fire, by conducting sniper fire. Attacks by terrorists in the area of the Svitlodarsk bridgehead continue. 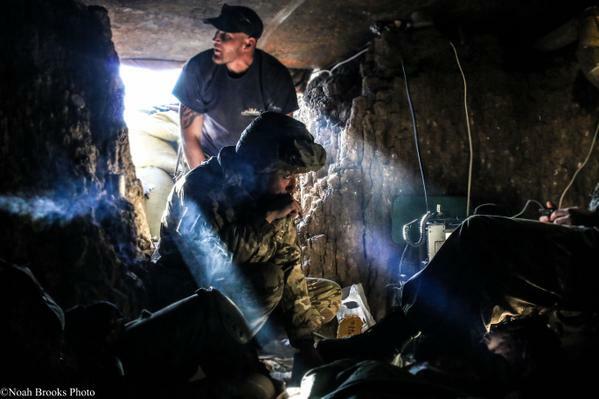 In the area of Luhanske, insurgents fired several times from 120 mm mortars and AGS-17 grenade launchers; small arms and heavy machine guns were also actively used. Movement of tanks (up to one tank company) was spotted in the enemy’s tactical rear in this sector. Insurgents attacked from MLRS BM-21 “Grad” (4 missile launch pads) in the quadrilateral area between Krasnohorivka–Zoryane–Halytsynivka–Nevelske. The purpose of these attacks (made, essentially, on deserted fields) remains unclear. Insurgents carried out strikes on objects in the area of Krymske, Novotoshkivka, Trokhizbenka, Sokilnyky, using AGS-17 and “Grad-P” (Partizan) [MRLS] from the side of Slovyanoserbsk and the Bakhmut highway. 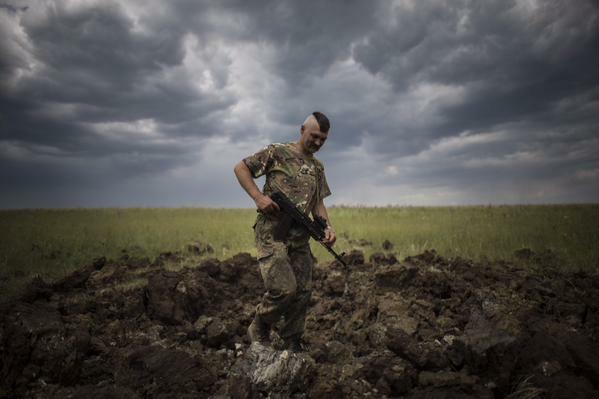 Objects in the area of Stanytsia Luhanska were shelled from insurgents’ fortified area near Mykolaivka. Terrorists used 120-mm mortars, large-caliber machine guns, and AGS-17 grenade launchers (3 guns “operating” simultaneously). This entry was posted in Dmitry Tymchuk, English, English News, Pictures, South&Eastern Ukraine, War in Donbas and tagged #FreeKolchenko, #FreeKostenko, #FreeSavchenko, #freesentsov, #Information_Resistance, #RussiaInvadedUkraine, #StopRussianAggression, #UkraineUnderAttack, ‪#‎FreeDegermendzhy, ‬ ‪#‎FreeAsanov‬, ‬ ‪#‎FreeChiygoz, Dmitry Tymchuk, Donbas. Bookmark the permalink.